“Chin King Jin (Kenneth Chin) affidavit photo,” 1929, Chinese Exclusion Act case files, RG 85, National Archives-Seattle, Chin King Jin case file, Seattle, Box 759, 7030/11066. Chin King Jin, was the adopted son of Chin Ne Toy and his white wife, Gertrude Copeland (Kopelian–Chinese name Dong Shee) of Seattle. He attended Pacific Grammar School. He visited China when he was seven years old and returned when he was 12. He left again when he was 14 and was returning in 1938 at age 21. Chin King Jin married Yee Shee on 17 September 1936 in China. His marriage name was Chin Suey Beow. Their son, Jun King, was born 15 September 1937. Chin King Jin’s wife and son stayed in China and lived in Woy Pon Lee Village. Chin King Jin spoke in See Yip Hoy Ping dialect. Chin King Jin and Chin Ne Toy were interrogated several times separately. Many questions about the family village were asked—How many houses in the village? The location of their house; direction it faced? What style? How many stories? The size of tiles on each floor? Where was the open stone court? Who lived in the house? Where is the nearest market? 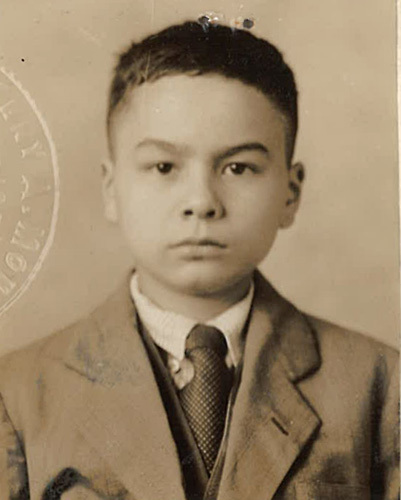 In spite of many unanswered questions, since the applicant had been admitted to the United States on one previous occasion in 1929 as a U.S. citizen, the inspectors unanimously approved his application and he was admitted to the U.S. as a returning native-born American citizen.